Your website is your B2B face. It’s important to have an effective, informative, and engaging website for your prospective customers. An optimal user experience can mean greater customer engagement and, eventually, higher sales. 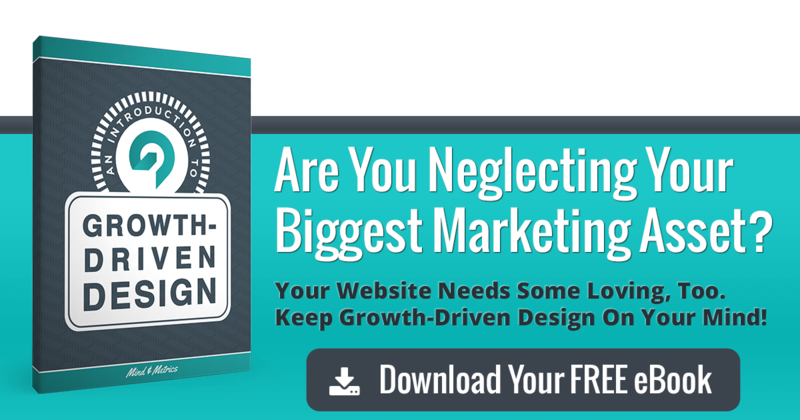 If you are still in the design stages of your B2B website, or if your website is in need of a makeover, there are a few key things to pay attention to as you move forward. Check out our top 10 to-dos before you dive into your website design so you can start implementing them today. Before leaping into your B2B website design, think strategically. At the end of the day, you want to maximize your user’s engagement with your website. To do this, begin by putting yourself in the average visitor’s shoes. What information will be important to get across immediately? What’s going to be most captivating content-wise? What type of navigation will be essential to your user’s experience of your website? If you orient all of your design toward your ideal user’s experience, you’ll be on the track towards a successful and competitive B2B site. As information on the internet accumulates, it’s getting more competitive for businesses to create a digital presence. The bar has been raised for content, so it’s your job to meet it and stay at the forefront of your industry. Generate professional and unique content. You may want to invest in experienced content developers and writers. Get a good handle on the content of competitors’ sites, and consciously produce content that goes beyond. Video ads and content are attracting more customers than 2D content. Why? Video is quite simply more engaging than text or static images. Incorporate brief but engaging video clips into your website. If you can integrate these well with relevant content, you’ll also invite a visitor to respond to surrounding content like articles or blurbs. Don’t overwhelm your site with videos, but place a few high-quality ones in high traffic areas. Some websites can be designed with lead generation in mind from the outset. This means that visitors will be able to input a mailing or email address in a pop-up screen or sidebar, for example, and receive something in return. Common examples of this include an e-book, newsletter access, or webinar link. The customer has an incentive to provide his/her email address, and the company gets a lead. Consider implementing this in your B2B website to maximize lead generation. Mobile marketing is surging, and it’s key for your business to address this trend. Make sure your website is mobile-friendly so that users can access it on any device and not lose crucial details or visuals. Consider implementing an app specific to your product or service in addition to ensuring a mobile-friendly website. Make sure that your website has clear links to your social media sites. It’s getting harder and harder to get customers’ attentions these days, which means that interactive content is more likely to get a response than passive content. What does this look like? We already mentioned video content. Think also about implementing sound via podcasts or sound bites. Incorporate infographics that do more than convey data in a colorful visual way. Compose text in shorter bites rather than longer article forms. We already mentioned video content. Think also about implementing sound via podcasts or sound bites. Incorporate infographics that do more than convey data in a colorful visual way. Compose text in shorter bites rather than longer article forms. Your goal should be to get your content across in an efficient, intriguing manner. Although pop-ups get a bad rap from consumers, they can be integrated into your B2B website in an effective and non-intrusive way. Think about introducing pop-ups that present special offers, such as a site-wide discount or invitation to sign up for a newsletter with exclusive savings. Some pop-ups can be coordinated to appear after a set time has passed since the user has accessed the website. What other consumers think about a product is a key aspect of the sales process. You can establish your credibility as a business by generating customer reviews visitors can access on your website or via Google Reviews. Implement a clear link or sidebar on your B2B website that enables customer reviews. Embed a link in newsletters or emails sent to subscribers and request reviews via social media sites. Manage these reviews by promptly responding to any less-than-stellar comments. Blogs really are critical to a business’s digital presence and can lead to higher site traffic. Maintain a consistent, relevant, and professional blog. Your blog posts should promote content that is useful to your visitors. They should be concise and incorporate internal links to other pages on your website. Be sure to monitor blog comments just as you monitor customer reviews to demonstrate your responsiveness and engagement. It’s important for your B2B website to be accessible and clear. It should be easy to navigate your site on both desktop and mobile devices. There shouldn’t be any redundant links or lack of clear exits on certain pages. Set up internal links throughout your website so that site visitors can move from page to page even when they are accessing specific content. Aim for professional and concise. Make sure that users can easily access your business contact information as well. As a B2B owner, your website is your tool for introducing customers to your brand or service and to maintaining their interest in what you offer. It can be a powerful means of boosting your customer base and overall sales. It’s important when designing your website to think of your ideal user and go from there. Maximize their experience through easy navigation, engaging and high-quality content, and lead-generating tools. No matter what business you operate, we can assist you with your website design and development. At Mind & Metrics, we provide all of our clients with professional and intuitive service that leads to the most important thing of all: your business success. Contact us today to get started with a free business consultation!